The Republic of Belarus is an authoritarian presidential state. Its current president, Alexander Lukashenko, is in office since July 1994. Since the parliamentary elections of 11 September 2016, the parliament is once again fully occupied by government loyalists. The Belarusian Patriotic Party holds 3 seats, the Communist Party of Belarus 8, the Liberal Democratic Party 1, and the Republican Party of Labour and Justice 3. The remaining 93 pro-governmental parliamentarians have no party affiliation. For the first time in almost twenty years, since 2000, an opposition party member has been elected. Anna Konopatskaya is a member of the opposition United Civic Party and was head of its organisation in Minsk. Furthermore, Yelena Anisim, an independent candidate who has ties to the opposition and is the deputy chairwoman of the Belarusian Language Society, was also elected. However, the 2016 elections were reported to be neither fair nor free. The authorities were de facto appointing themselves, not for the first time. Severe human rights violations and restrictions on media are constantly reported in the country. There were a number of political prisoners in the country, but they were released in late August 2015, which could have much to do with the presidential elections that took place on 11 October 2015. The country is the last one in Europe to still have the death penalty which it carries out. The country is highly dependable on Russia’s subsidies and resources. Want to get notified by mail when Belarus gets updated? Alexander Grigoryevich Lukashenko was born on 31 Augustus 1954 in a small village in eastern Belarus, where he was brought up by his single mother. Lukashenko graduated from Mogilev Pedagogical Institute in 1975, and the Belarussian Agricultural Academy in 1985. After serving in the Soviet army between 1980 and 1982, Lukashenko started a career in collective farming in the mid-1980s. At the end of this decade, he started to move into politics and in 1990 he became a deputy in the Supreme Council of Belarus. He was the only deputy to vote against the agreement that dissolved the Soviet Union. 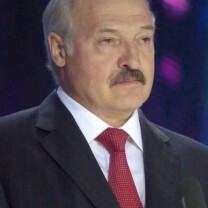 In 1993, Lukashenko was elected Chairman of the anti-corruption committee of the Belarusian parliament and in this function he accused a number of senior government officials of corruption. In 1994, Lukashenko was able to defeat four other candidates and became President of Belarus. In 2001, he was elected for a second term and due to a 2004 referendum which abolished the two-term presidential limit, he was able to seek re-election for a third term in 2006, a fourth term in 2010 and a fifth term in 2015. Lukashenko has been controversial for his authoritarian instincts and is often referred to as ‘the last dictator of Europe’. He is married to Galina Lukashenko and they have two adult sons. Lukashenko also has an illegitimate younger son. Andrey Vladimirovich Kobyakov was born on 21 November 1960 in Moscow, Russia. He studied at Moscow Aviation Institute named after S.Ordzhonikidze, and worked as a foreman of the machine assembly department of Minsk Mechanical Works named after S.I. Vavilov, and assembly division of Rogachev “Diaprojector” Plant. Kobyakov started his political career in the organisation unit of the Communist Party Committee in Rogachev City. From 1995 to 1998 he was the Deputy Head of the Control Service Department of the President of the Republic of Belarus and State Control Committee of the Republic of Belarus. 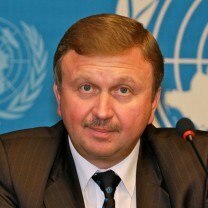 Between 2000 and 2010, Kobyakov was the Deputy Prime Minister of Belarus. He holds the post of Prime Minister since 2014. Kobyakov is married and has a daughter (1985) and a son (1998). The presidential elections are the most important in Belarus, as the state has turned into a strong authoritarian presidential republic. To a large extent, this is obviously a result of the breakdown of the opposition’s structures after the presidential election of 2010 and the overall internal situation in the country, which is not conducive to independent initiatives. Unfortunately, there is no indication that this situation will change. Changes to the Electoral Code, in force since December 2013, criminalised election boycotting. The key features of the Belarusian electoral process remained unaffected: neither the existing legislation, nor its implementation provides the basis for free and fair elections. The leadership remained reluctant to conduct structural reforms considering the uncertain future of financial transfers from Moscow, particularly as Russia’s own economic situation worsened. Economic hardship thus intensified in the year 2015, prompting President Lukashenko to reshuffle the government several times. Corruption remains a serious problem in the country as well. However, the existing practices and planned legislative changes confirm the government’s agenda to identify and punish corrupt officials, rather than prevent and eradicate corruption as a sociopolitical phenomenon. Transparency International Corruption Perceptions Index 2015 has ranked Belarus 107 out of 167 countries. Systematic violation of human rights, in particular civil and political rights, continues in Belarus. Peaceful protesters are repeatedly arrested and sentenced to short periods of detention. The authorities continue to use arbitrary detentions, searches, interrogations and misdemeanor charges on bogus grounds to harass and intimidate government critics. The authorities have extended sentences of several remaining political prisoners, as in the case of 2010 presidential candidate Mikalai Statkevitch. He was charged with violating prison rules and moved to a harsher penitentiary institution. These prisoners were subjected to undue restrictions, psychological pressure, and other forms of ill-treatment as punishments. They were, however, released in late August 2015, likely to soften Western criticism in the run-up to the presidential elections of 11 October 2015. The use of the death penalty continues. Belarus is the only country in Europe that still has the capital punishment and it has executed three inmates in 2014, while in 2015 it has already brought new sentences. The Freedom House has evaluated political rights and civil liberties in Belarus with a 6.5 (1 being most free and 7 the least free). Freedom of expression is severely restricted. The media remains largely under state control, and is used to smear political opponents. Independent media outlets are harassed, and bloggers, online activists and journalists are subjected to administrative and criminal prosecution. State-run distribution outlets refuse to disseminate independent periodicals and internet activity remains closely monitored and controlled, especially after the parliament adopted amendments to the media law, enabling the Ministry of Information to shut down online news outlets. The authorities recently started using an article of the Administrative Code on “unlawful creation and dissemination of mass media produce” to prosecute freelance journalists writing for media outlets based outside Belarus, claiming that they require formal accreditation as foreign journalists with the Ministry of Foreign Affairs. Belarus is ranked 157 out of 180 countries in the 2015 World Press Freedom Index. For presidential elections to be valid, a turnout of 50 percent of the registered voters is required. For a candidate to be elected as president, he or she must receive more than half of all the votes. If no candidate achieves this, a second election round has to be held within two weeks. The president is elected for a five year term. Elections in Belarus are primarily regulated by the constitution, the Election Code and the Central Election Committee (CEC). Parliamentary elections are held every four years through a simple majority vote, with the outcome decided by overall majorities in single-member constituencies for the 110 seats in the House of Representatives, the lower house of the National Assembly. In addition, the upper house of parliament, the Council of the Republic, comprises 64 members, with representation which is geographically based. The members of the Council of the Republic are appointed by the President and elected in a secret voting procedure. Belarus also holds elections for local councils of deputies, who are also elected for a period of four years. In the most recent parliamentary elections, held between 6 and 11 September 2016, President Alexander Lukashenko’s loyalists won 108 of the 110 seats. For the first time in twenty years, two oppositioners were elected: Anna Konopatskaya from the United Civic Party and Elena Anisim, unafilliated. On 16 September, the CEC of Belarus approved the election results to the House of Representatives, 28 of which have been members of the previous parliament. The new parliament of the sixth convocation has been completed by approving respective senators of the National Assembly’s upper house. The vote itself took place on 13 September at local councils’ sessions. Every region and the city of Minsk elected together 56 senators, an additional 8 of them were selected by the president, adding up to a total of 64 member of the upper house. According to OSCE post-election reports, the election campaign remained “barely visible” in most parts of the country, despite a light increase in activity during the last two weeks before the elections. The campaign is reported to have taken place in a controlled environment, with regulations limiting its basics, including holding meetings with voters, printing and distributing campaign materials, as well as accessing the media. Thus, the low-key campaigning activities, correlating with the general public disinterest inclined international observers to raise questions on the voters’ ability to make informed choices on election day. The elections were followed closely by the ODIHR and OSCE, which deployed a mission of 10 core team experts from ten states, based in Minsk; 38 long-term observers, deployed throughout the country; and 100 short-term observers from OSCE/ODIHR participating states. The elections were also monitored by party members, citizens and members of NGOs. From 2,477 accredited observers, 2,537 represented political parties (Communist party of Belarus, Republican Labour and Justice Party and Belarusian Agrarian Party). NGOs included 19,217 observers (Belarusian State Youth Union, Federation of Trade Unions of Belarus and Belaya Rus’. Labour collectives nominated 1,224 observers. Post-election reports by the observers state that, despite the minor improvements such as the reformed Electoral Code, the elections took place in an overall atmosphere of repression and intimidation. They were not administered impartially, and key OSCE commitments such as the citizens’ rights to associate, stand as candidates and the right to free expression, were not respected. Even though the opposition parties actively participated in the elections, the election campaign lacked visibility. On 12 September, the Spokesperson on the parliamentary elections in Belarus of the European Commission issued a statement which acknowledged Belarus’ visible efforts to address some long-standing issues, while calling for a comprehensive electoral reform in cooperation with international partners. The day after the elections, dozens of opposition activists organised a protest in the centre of Minsk against the unfair parliamentary elections. It was initiated by one of the former opposition presidential candidates, Nikolay Statkevich, who said that people are running out of patience and the 12 September protest is the beginning of a political campaign for new and fair elections. Opposition leaders share the opinion that Anna Konopatskaya and Elena Anisim were appointed by Lukashenko and thus will not improve the position of the opposition. On 11 October 2015, presidential elections were held in Belarus. Incumbent Alexander Lukashenko won re-election for a fifth term with a landslide victory of 83.49 percent, according to official results. The rest of the candidates received less than 5 percent. Official CEC reports presented overall 86.7 percent turnout. According to OSCE observers, "It is clear that Belarus still has a long way to go towards fulfilling its democratic commitments". The OSCE welcomed the release of political prisoners ahead of the election, but "the hope that this gave us for broader electoral progress was largely unfulfilled". The OSCE added that "despite welcome post-electoral engagement on the part of authorities to consider OSCE/ODIHR recommendations, amendments introduced after the 2012 elections did not address some of the key recommendations". The OSCE reported that they were denied access to check voter lists at some locations, and reported instances of ballot box stuffing and group voting. Especially the counting process was assessed negatively, in 25 percent of the cases the OSCE was not allowed to observe the count. The OSCE and the Parliamentary Assembly of the Council of Europe (PACE) also criticised the fact that the precinct election commissions (PECs) are responsible for voter registration and there is no permanent or centralised voter list, so that there could be multiple registrations, or voters could be taken off of the voter lists. Furthermore the OSCE and PACE noted the "relative public disinterest" in the election that was "accentuated by modest turnout at most campaign events". Unlike the last elections, there were no massive protests after the election results, as only some hundreds of people protested and there were no violent altercations with the police. The BSDP-NH calls itself the successor of the Belarusian Socialist Hramada, which was founded in 1903. This party played a crucial role in the formation of the short-lived Belarusian People's Republic in 1918. The party was re-established in March 1991. Since then, it has been plagued by internal conflicts. Mikola Statkevich has chaired the party since 1995 and has been arrested several times for his actions against the Lukashenko government. The BSDP-NH demands a democratic, legal, and social state, and favours Council of Europe and EU membership for Belarus. One of the party’s priorities traditionally is the defence and the revival of national values. Today, the BSDP-NH programme wants to adapt 'classical values of European Social Democracy' to Belarusian standards. It wants a social market economy and privatisation of small and medium businesses, but wants to keep railways and utilities in government hands. According to the BSDP-NH, the medical care, the pension system, and education need to be reformed on a step-by-step basis. The party used to be a member of the Consultative Council of Parties, but under the leadership of Mikola Statkevich left the council when it decided to participate in the 2000 elections, while other opposition parties organised a boycott. In 2003 the BDSP-NH became the leading party of the European Coalition “Free Belarus”. The BSDP-NH experienced some major changes in 2005. Internal conflicts led to a split in the party. The vice-chairmen of the party (Vladimir Nistyuk, Vitaly Malashko and Yury Markovsky) accused party leader Statkevich of acting in violation of the party’s charter and held separate talks on the creation of a united social democratic party. They went to the Ministry of Justice, to get support for their act and Nistyuk was appointed as interim chairman of the party which also claims to be the one and only rightful BSDP. On 22 March 2005, a formal charge was brought against Statkevich over the street protests that were sparked by the internationally criticised 2004 parliamentary elections and referendum. The criminal proceedings were instituted under the Criminal Code’s Article 342 that carries punishment for “the organisation of group actions disturbing public peace or active participation in them.” Statkevich was sentenced to three years in corrective labour camp. Later, this was reduced to two years. Statkevich was released on 22 May 2007. In 2010 he was among the democratic presidential candidates. After the violent crash of the opposition demonstration Statkevich was arrested and sent to prison again. On May 26, 2011, he was sentenced to six years in a maximum security penal colony. In August 2015, he was released together with five other opposition figures, after this was ordered by president Lukashenko. Since the split of the party, the party is without registration and office, which makes it hard to operate effectively. Despite internal party disagreements, the BDSP-NH ran the 2012 parliamentary elections, but did not manage to enter parliament. BDSP-NH did not participate in the 2016 parliamentary elections. The BSDP-H was founded after the split of the BSDP-NH. On 15 January 2005, this BSDP, at that time still claiming the name BSDP-NH, appointed Anatol Levkovich as new leader of the party. The party claims to have unified with the Belarusian Social Democratic Hramada (BSDH). This would only include the people around former BSDH prominent Aleksei Korol, because the leader of BSDH, Stanislav Sushkevich, says the unification process was held to create an imitated social democratic party. In 2005, the name of the party changed into Belarusian Social Democratic Party Hramada (BSDP-H) and Alyaksandr Kazulin, a former rector of Belarusian State University, became the party leader. Kazulin ran as a candidate in the 2006 presidential election alongside united opposition candidate Alyaksandr Milinkevich. On 25 March 2006, a week after the presidential election, Kazulin was arrested. He was charged with hooliganism and the organisation of group actions, crudely breaking public order and disobedience to legal requirements of the authorities. Kazulin was found guilty and sentenced to five and a half years of imprisonment. He was however released in August 2008. Around the same time, the party decided to replace Kazulin with former Deputy Head Anatol Levkovich. However, Levkovich was widely criticised for having close links with the authorities. In May 2012 the party elected a new chairperson, Irina Veshtard, during the XIII BSDP (Hramada) Congress. The election was confirmed by the Ministry of Justice, and the social democratic party thus finally acquired a legitimate administration and a new legal address. On 12 August 2012, the Social Democratic Party Hramada nominated 15 candidates for the parliamentary elections of 23 September. The party is officially registered at the Ministry of Justice and is part of the opposition coalition United Democratic Forces of Belarus. The OSCE report states that the BDSP-H remained active throughout the election campaigning, however did not pass the 5 percent electoral threshold to enter parliament. The BSDP-H actively seeks support of social democrats in Western Europe. For the 2016 parliamentary elections BSDP-H nominated 28 candidates. Nobody was elected. The party was founded in 1998 and is led by Stanislav Shushkevich, who chaired the Supreme Soviet of Belarus from 1991 to 1994. In this capacity, in 1991, together with Russian President Boris Yeltsin and Ukrainian President Leonid Kravchuk, he signed the declaration that officially dissolved the Soviet Union (Belavezha Agreement). In the first presidential election of 1994, Shushkevich stood as a candidate, but was defeated by current president Lukashenko. The party was a member of the Five Plus opposition coalition and supported the candidacy of united opposition candidate Alyaksandr Milinkevich in the 2006 election. The social democratic faction led by Aleksei Korol left the party and joined BDSP-H, led by Kazulin. The party is in favour of an independent Belarus that is no colony of Russia, but also not a member of NATO or the EU. The party is still officially registered at the Ministry of Justice of Belarus. The party was established in 1995 as a result of a merger of two like-minded parties: United Democratic Party (formed in 1990) and Civic Party (formed in 1994). According to the party’s statutes, it has a liberal conservative orientation that places the individual’s rights above the interests of social groups, the state or the nation. The main pillars are human rights, an open society, a democratic form of government, the rule of law, the right of personal property and of free entrepreneurship. Belarus’ membership of the EU is one of the party’s goals. The party used to be part of the Five Plus opposition coalition. The party opposes Lukashenko’s government. It boycotted the 2012 parliamentary elections. In 2007, Anatoly Lebedko became one of the four rotational leaders of the Democratic Forces in Belarus. Lebedka was one of the oppositional leaders that were jailed as a result of the protests following the December 2010 parliamentary elections. In 2012, at the XIV Congress of the UCP Lebedko was unanimously re-elected chairman of the party. UCP has a Women’s Organisation and a Youth Organisation. 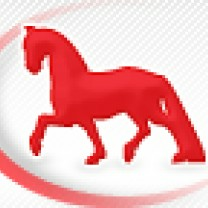 The Party is one of the two main members of the opposition coalition The United Democratic Forces of Belarus. In the 2016 parliamentary elections, UCP was the first opposition party in twenty years to get a seat. Out of 53 nominated candidates Anna Konopatskaya, head of UCP in Minsk, has been elected. The organisational committee of the BPF was established in October 1988 by a group of intellectuals, and was the first alternative to the Communist Party in Belarus. The BPF has a nationalist conservative orientation and favours democracy and independence through national rebirth and rebirth of civil society, which was destroyed by communism and foreign occupation. The BPF is fighting for the development of Belarus as an independent, democratic, neutral state, which has good relations with all nations. The party is against unification with Russia. 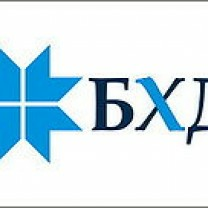 The BPF was part of the Five Plus opposition coalition and supported the united opposition candidate Alyaksandr Milinkevich during the 2006 presidential election. Two weeks before the election party leader Vyachorka, who played a key role in the campaign, was jailed for two weeks for organising an unauthorised rally. In 2007 Vyachorka, was elected as one of the four rotational leaders of the Democratic Forces in Belarus. After a brutal dispersal of the December 2010 protest rally, when more than 600 people were arrested and sentenced to administrative arrests, the BPF Central Office became an unofficial centre for solidarity with arrested people from the opposition. In February 2011, more than 80 members left BPF accusing the party’s leadership of de facto cooperation with Lukashenka’s regime. The party leader Ryhor Kastusiou was elected into the position on September 30, 2017 at the XVIII Congress of the Party of the Belarusian Popular Front. 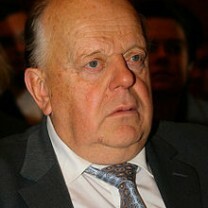 Former chairman Alaksiej Janukievich, elected as such at the XIV Congress on 10 September 2011, remains Deputy Head. BPF nominated 47 candidates for the parliamentary elections in 2016. None was elected. 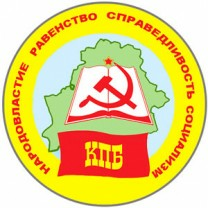 The party was founded in 1991, as the successor of the ruling Communist Party of Belarus (CPB). The Belarusian Party of Communists went into opposition and co-existed with the pro-government CPB. Within its party platform it advocates unions, the achievement of full liberation from exploitation in all its forms, and the construction of a classless society of social justice. The party declares it is in favour of eliminating the authoritarian regime. It did, however, agree with Lukashenko on the union of Belarus with Russia. In July 2006, the BPC suffered a blow from the repressive regime as the pro-government Communist Party of Belarus claimed unification of the two communist parties. The BPC leadership, however, said that only two BPC members, who were earlier removed from the ranks of the party, attended the so-called merger conference. Party leader Kalyakin described the congress as a government orchestrated move to eliminate the party. In November 2006 the party signed a document declaring the intention to form an alliance of left-wing parties with the Belarusian Social Democratic Party Hramada, led by Alyaksandr Kazulin, and the Belarusian Women's Party "Nadzeya" led by Yelena Yeskova. In 2007, Kalyakin, was elected as one of the four rotational leaders of the Democratic Forces. The party is currently member of the opposition coalition United Democratic Forces of Belarus. It was one of the three opposition parties that ran the elections of 2012. 41 candidates were nominated by “A Just World” for the 2016 parliamentary elections and none elected. The party was registered in 2000, shortly after the split of BPF "Adradzhennie". In its platform, it advocates the establishment of a democratic society and the building of a strong Belarus. The party calls itself the successor of the BPF. The CCP-BPF has shown resistance to join supra-party bodies and is reported to run its own activities. It does not take part in coalitions and has a radical nationalist conservative orientation. In May 2006, the exiled leader, Zyanon Paznyak, was re-elected as the leader of the party at its 7th congress, at the Palace of Culture of the Minsk Tractor factory. One of the oldest parties, the Belarusian Christian Democracy movement was originally created in the beginning of the 20th century, with the establishment of the first Belarusian Christian democratic political organisation, the Belarusian Christian Democratic Union. The party ceased to exist officially in 1940, with its first attempt for revival taking place in 1991. The attempt of the movement to re-appear on the political arena with three Christian Democratic parties was unsuccessful as it failed to achieve broad support. The modern initiative to revive the movement was launched in 2005, by former Young Front activists in the beginning of the 2000s. The initiative positioned its activities on Christian values as well as Belarusian patriotism. Differently from its predecessor, modern Belarusian Christian Democracy identifies itself as an inter-confessional party, oriented also to orthodox believers and protestants. Members of the movement see a need in Belarus for a political force based upon Christian values, democratic principles and patriotism, a need which should be fulfilled by the BCD. The Organisational Committee started activity in 2005, including well known, as well as new, civic leaders. 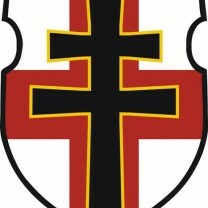 In 2009, the Committee decided to conduct a founding assembly and obtain state registration of the “Belarusian Christian Democracy” party. After filing all the documents necessary for the state registration, the Ministry of Justice refused to register the party. In 2012, despite still not registered, the BCD remains active on the political arena. Although the Communist Party of Belarus was banned after the Moscow coup attempt of 1991, it has never lost its importance as a political movement. The party’s support base consists mainly of pensioners and civil servants. Its programme models itself after that of the former USSR, opposing reforms and privatisation and having a clear preference for the Russian culture (while rejecting the Belarusian culture). It strives for leading the society on a socialist path of development resulting in the construction of a society of social justice based on the principles of community, strengthening of the Belarusian state, and restoration of voluntary state union of the peoples of the former Union of Soviet Socialist Republics. After the 2012 elections it secured three seats in parliament. On 22 October 2012, leader Tatsyana Holubeva was replaced by Ihar Karpenka, Deputy Head of the Minsk City Executive Committee as the new leader of the CPB. In the 2016 parliamentary elections, CPB won 8 seats. One of the first and most influential youth organisations in Belarus is the Young Front (Malady Front). The organisation was established as the youth branch of the Belarusian Popular Front Adradzhennie (BNF) in 1996. In that year, the BNF experienced a substantial rise of young party members concerned with the increasingly authoritarian rule of President Lukashenko and thus established Malady Front. Like its mother party, the organisation took up an anti-regime stance, upholding conservative, nationalist and Christian-Democratic principles. Not all members felt a direct connection with the organisation, but Malady Front was the most viable opposition youth organisation at that time. Malady Front, although never officially registered and therefore formally an illegal organisation, was structured like a political party and thus was a rather hierarchical organisation. This is one of the reasons for its split in 2000. In that year the members of Malady Front re-elected Pavel Seviarynets as President of the organisation. Later, Seviarynets was re-elected causing a number of high placed Malady Front members to leave the organisation to start up a new, less hierarchical and less exclusive platform, Zubr, which is currently considered defunct. The movement aligned with Zubr and the European Coalition, in organising non-violent demonstrations after the elections and referendum in 2004. In the 2006 elections, instead of uniting into a single movement, Malady Front initiated its own campaign. In 2007, Young Front activists were increasingly charged with membership of an illegal organisation. During the protests following the presidential elections in 2010 and during protests in 2011, various members of Young Front were arrested. Young Front is a member of the Youth of the European People’s party. It does not have any representatives in parliament. Mikola Viktorovich Statkevich was born on 12 August 1956, to a family of teachers. In 1978, he graduated from the Minsk Higher Engineering zenith-rocket academy where he later worked as a teacher, and in 1986 he obtained a PhD. In February 1991, he left the Communist Party out of protest, and became member of the Central Rada and Executive Committee of the Belarus Social Democratic Party (Narodnaya Hramada). In 1996 he became its chairman. In the same period (1991-1995), as a former military officer, he founded and headed the Belarus Union of Military, which had as its goal the creation of a Belarus army for the defense of independence and historic-patriotic education of society. In 2000, he ran in the parliamentary elections, and in 2003 he became the leader of the European Coalition, which included a number of parties, trade unions, women’s and youth organisations. The Coalition was in favour of a European direction of development. In 2005, he was sentenced to three years in prison for organising a street action on 18 and 19 October 2004 in Minsk against the (falsification of the) official results of the parliamentary elections and the referendum. After an amnesty his sentence was shortened by a year. In 2009, the congress of the European Coalition nominated him as its presidential candidate for the 2010 elections. Following a violent crackdown on an opposition demonstration on election night, he was arrested and imprisoned. Statkevich was found guilty of mass riot organisation on 19 December 2010 and on 26 May 2011 he was sentenced to six-year imprisonment in a maximum security penal colony. In January 2012, Statkevich was transferred from the penal colony to a closed prison with much more severe conditions of confinement. Amnesty International reported in July 2012 that Statkevich had been moved to a “punishment cell” after refusing to sign a confession. He was finally released on an amnesty in late August 2015, likely as a measure to soften Western criticism in the run-up to the presidential elections of 11 October 2015. Statkevich has two adult daughters. Irina Veshtard was born on 17 March in the Gradnenski region and graduated chemistry from the Belarusian State University in 1976. She was elected a member of the Smorgon Council from 1995 till 2007. She joined the Hramada Party in 1991, and was elected Chairman of the party on 6 June 2011. Stanislav Shuskevich was born in 1934 in Minsk. He graduated from the Belarus State University with a degree in physics in 1956. In 1969, he became a member of staff at the same university, and in 1986 he was appointed pro-rector. He also became politically active in this period. Shuskevich is well known due to his position as chairman of the Supreme Soviet of Belarus from 1991 to 1994. He was dismissed from his position in 1994 as a result of his liberal political and economic policies, and was one of the signatories – along with Boris Yeltsin and Leonid Kravchuk – of the Belavezhda agreement, which effectively dissolved the Soviet Union and established the Commonwealth of Independent States (CIS). In the first Belarus presidential elections of 1994, Shushkevich stood as a candidate, but was defeated by current president Lukashenko. In 1998, Shuskevich founded the Belarusian Social Democratic Hramada and remains its leader. Wit-Rusland onder Loekasjenko, Europa’s laatste dictatuur(2002), Oost-Europa Verkenningen, nr. 167, Instituut voor Publiek en Politiek, Amsterdam.